Using a chainsaw all day is tiring, particularly if you're working in warm weather. 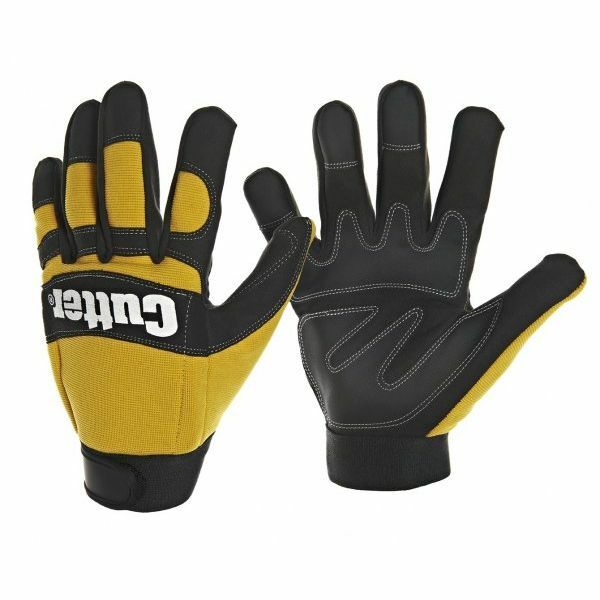 The Cutter CW600 Amara Synthetic Leather Men's Professional Summer Chainsaw Work Gloves are designed to be used under these circumstances. Their tough but flexible construction helps to keep you safe while also providing you with the freedom of movement you need to operate the machine. 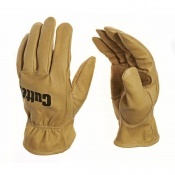 The Cutter Amara Synthetic Leather Work Gloves product code is CW600. These gloves are gold and black in colour. 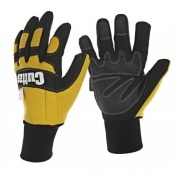 The Professional Chainsaw Work Gloves have been tested to EN 388: 2003, the European standard for gauging a glove's resistance to a range of physical threats. Please see the table below for a breakdown of the results. The Amara Synthetic Leather Men's Gloves have also been tested to EN 381-7, which is the European standard for gauging the level of protection a glove provides against chainsaws. These gloves have a class of zero on the test, meaning they can protect your hands against a maximum chain speed of 16 metres per second. 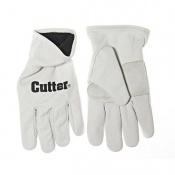 The Cutter Amara Synthetic Leather Work Gloves are available in four different sizes, allowing you to get a more tailored fit. Please refer to the measurements below to find the gloves that are most suited to your needs. The correct size can then be chosen from the drop down menu at the top of the page.